The iPhone 6 Plus is 5.5-inches of glass and aluminum and… that might be a little big to fit in some people’s pockets. 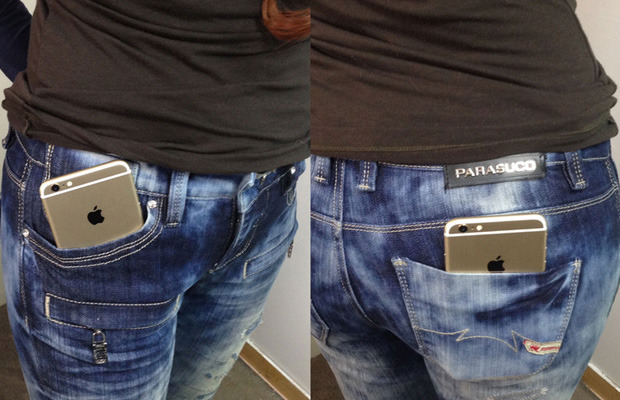 To find out for sure, two brave volunteers each grabbed the iPhone 6 Plus and tried to put it in their jean pockets. The top video shows a woman wearing skinny hipster acid watch jeans, and the second shows a man wearing relaxed fit, opposite-of-hipster jeans. So, what were the results? Let’s find out!